Below you fill find all funeral homes and cemeteries in or near Twentynine Palms. Suburbs of Twentynine Palms: 29 Palms, Twentynin Plm, Twentynine Palms MCB. 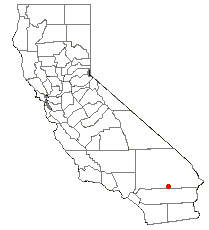 Twentynine Palms is also known as: San Bernardino County / Twentynine Palms city. Zip codes in the city: 92277, 92278. San Bernardino County funeral flowers can be purchased from one of the local funeral shops we partner with. Some of the notable people born here have been: Doug Cockle (actor and voice actor), DeeDee Trotter (model and track and field athlete), Jack O'Connor (baseball player), Jim Wallace (businessperson), and James Wallace (actor). It was written by The Daily Herald on September 28th, 2017 that Elizabeth "Liz" Brown (Calta) passed away in Barrington, Illinois. Ms. Brown was 54 years old and was born in Twentynine Palms, CA. Send flowers to express your sympathy and honor Elizabeth "Liz"'s life. It was disclosed on March 8th, 2014 that Steven Kohus perished in Twentynine Palms, California. Send flowers to share your condolences and honor Steven's life. It was disclosed on September 25th, 2013 that Nicholas James "Nick" Sell died in Twentynine Palms, California. Sell was 21 years old and was born in Medford, OR. Send flowers to express your sorrow and honor Nicholas James "Nick"'s life. It was revealed on May 9th, 2013 that Ellen Marie Gomieo (Franko) passed on in Twentynine Palms, California. Ms. Gomieo was 51 years old and was born in Eau Claire, WI. Send flowers to express your sympathy and honor Ellen Marie's life. It was written by The Californian on March 19th, 2013 that Davd Taitague Mantanona passed on in Twentynine Palms, California. Mantanona was 69 years old. Send flowers to share your condolences and honor Davd Taitague's life. It was revealed on March 14th, 2013 that Wesley L "Wes" Torgerson passed away in Twentynine Palms, California. Torgerson was 78 years old and was born in Bismarck, ND. Send flowers to express your sorrow and honor Wesley L "Wes"'s life. It was reported on January 23rd, 2013 that Sarai Hardin (Alfred) perished in Twentynine Palms, California. Ms. Hardin was 36 years old and was born in Brooklyn, NY. Send flowers to express your sympathy and honor Sarai's life. It was reported on September 16th, 2012 that Michael Alan Tollas passed on in Twentynine Palms, California. Tollas was 55 years old. Send flowers to express your sorrow and honor Michael Alan's life. It was disclosed on September 30th, 2011 that Christia Ann Imel (Couch) passed on in Twentynine Palms, California. Ms. Imel was 55 years old and was born in Anaco, . Send flowers to share your condolences and honor Christia Ann's life. It was reported on September 14th, 2011 that Robert J "Bob" Maj USMC Semonich passed away in Twentynine Palms, California. Semonich was 60 years old and was born in Spangler, PA. Send flowers to express your sorrow and honor Robert J "Bob" Maj USMC's life. Twentynine Palms (also 29 Palms) is a city in San Bernardino County, California Bernardino County, California, United States. The population was 14,764 at the 2000 census. . . . The official website for the city of Twentynine Palms is http://www.ci.twentynine-palms.ca.us. Kern County has four crematoriums that are used by various funeral homes. Those include Union Cemetery ... general manager James Kincheloe said. Barbara Stinson of Twentynine Palms got a double whammy of bad news from Kern County a couple of months ago. George will be greatly missed by Donna, his wife of 54 years; son, Jason (Kerri) Robinson of Twentynine Palms, CA; daughter, Shawna (Matthew ... Arrangements with the Aaker Funeral Home, Lakota, ND. Here are the results for funeral homes in Twentynine Palms California. You can find some of the best funeral homes businesses serving Twentynine Palms. Listing all funeral homes in Twentynine Palms, California so you can easily send flowers to any location (same day delivery) or find any funeral service. Listing all cemeteries in Twentynine Palms, California so you can easily send flowers to any location (same day delivery) or find any funeral service. Find a Funeral Home inTwentynine Palms, California CA to provide the caring burial and ceremonial services your family deserves. We work with local florists and flower shops to offer same day delivery. You will find budget sympathy flowers in Twentynine Palms here. Our funeral flowers are cheap in price but not in value.